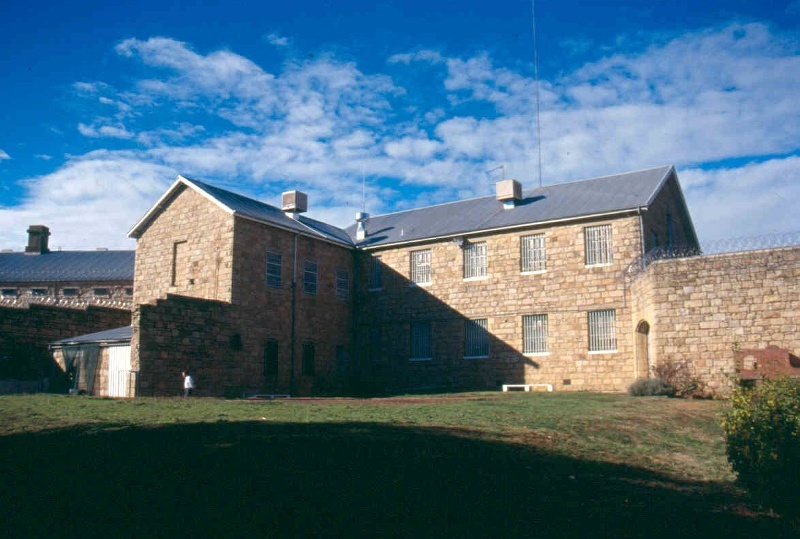 The Former Beechworth Gaol, including: the perimeter walls and watch towers, the entrance gateways and iron gates; the gaolers quarters and turnkeys quarters on either side of the entrance; the interior division walls; the two cell blocks, the central hall, the kitchen wing, the former dining hall and office wing; the former governor's residence to the east; the stone quarry at the rear; the front garden; the external granite retaining walls around the site; and the archaeological potential, including the nineteenth century burials. A major period of gaol construction began in Victoria during the late 1850s, with nine imposing stone gaols built between 1857 and 1864. These were all designed by the Public Works Department, and conformed to a new English concept in prison design, called the panopticon, where radiating wings of cells could be kept under observation from a central hub. The gaols were all enclosed by high perimeter walls with observation towers and stone gateways flanked by staff living quarters. 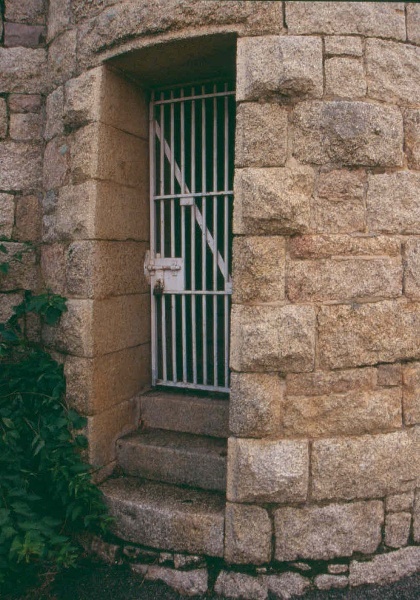 The Beechworth Gaol was built in several stages, using granite quarried on the site by prisoners. The panopticon with two wings of cells, a central hall and a kitchen wing were built in 1859-60, and the gaol opened in 1860 while still incomplete. The walls, offices, outhouses and staff accommodation were completed by 1864. The contractors were H Dalrymple and George Simmie and the total cost was £46,763. Conditions were primitive and it was not until 1993 that the cells were provided with toilets and running water. The gaol has a close association with the Kelly gang, with Ned Kelly imprisoned there for a total of about two years between 1870 and 1880. Ned's brothers Dan and James, other members of his gang and his mother, Ellen, and her new-born baby also spent time there. Twenty-five Kelly sympathisers were held there awaiting trial, as were Crown witnesses during committal hearings. 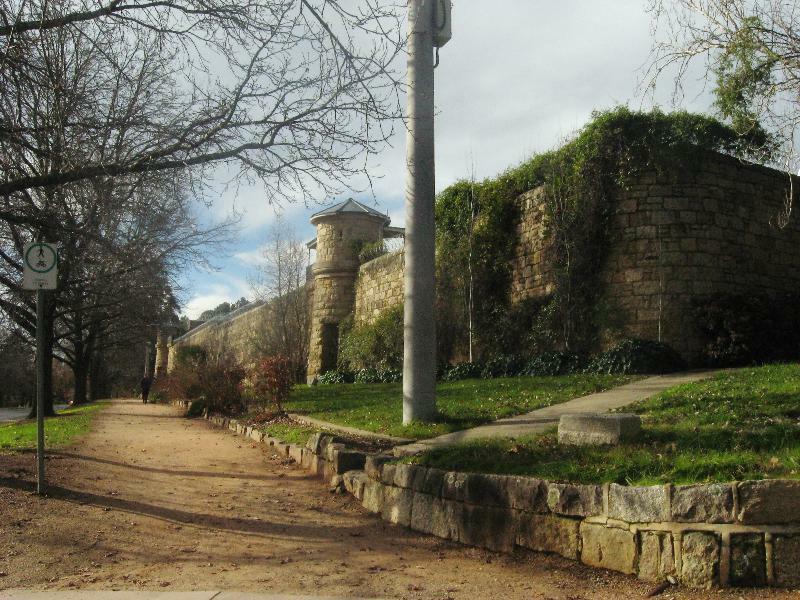 Between 1865 and 1881 eight prisoners were executed at Beechworth, and were buried in unmarked graves within the gaol grounds. Subsequent executions of prisoners from Beechworth Gaol were carried out in Melbourne. The coming of the railway in 1876 resulted in many prisoners being transferred to Pentridge rather than remaining at Beechworth, and by the early twentieth century prisoner numbers were so low that the government closed the gaol in 1918. It was renovated and re-opened in 1926 as the Beechworth Reformatory Prison for hardened male criminals. 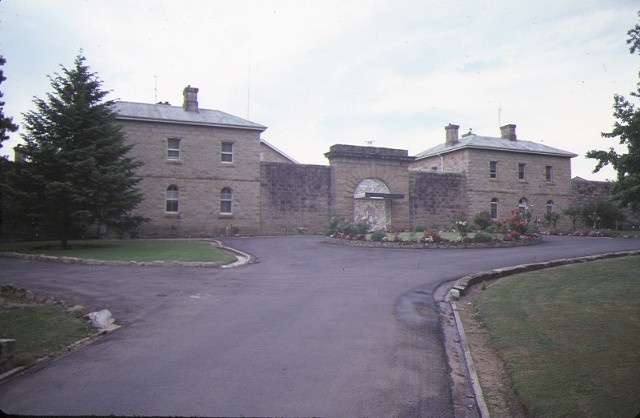 In 1951 it became the Beechworth Training Prison, intended for the rehabilitation of younger prisoners. At that time new facilities for work, accommodation, education and recreation were added. 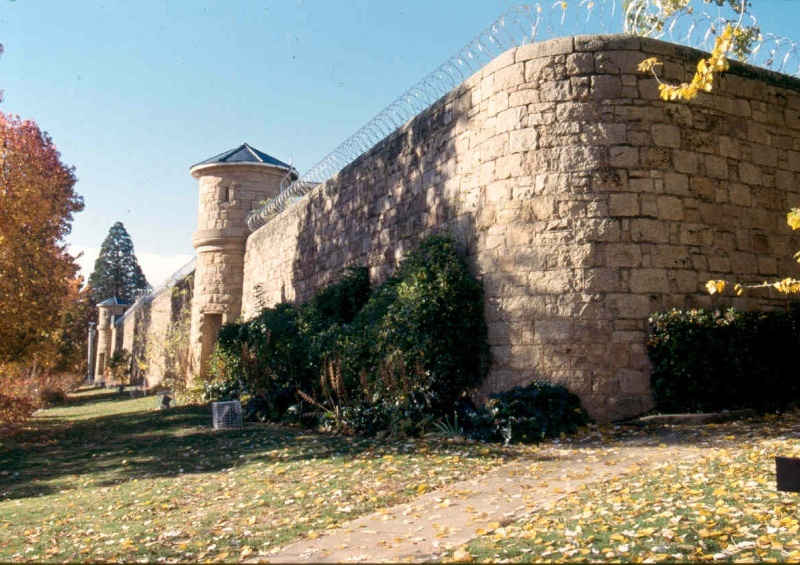 In 1990 the gaol became the Beechworth Integration Prison. 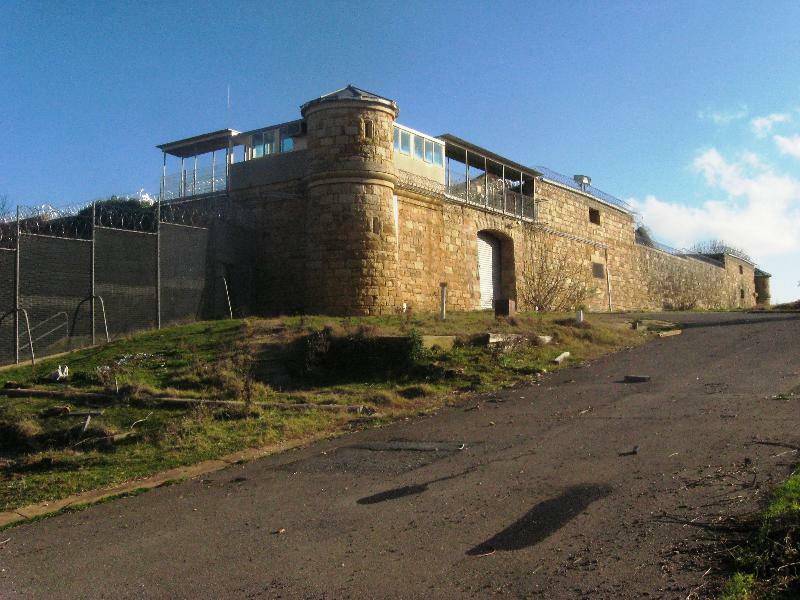 With the building of a new minimum security prison outside the town, the gaol was closed in 2004 and sold for private development. 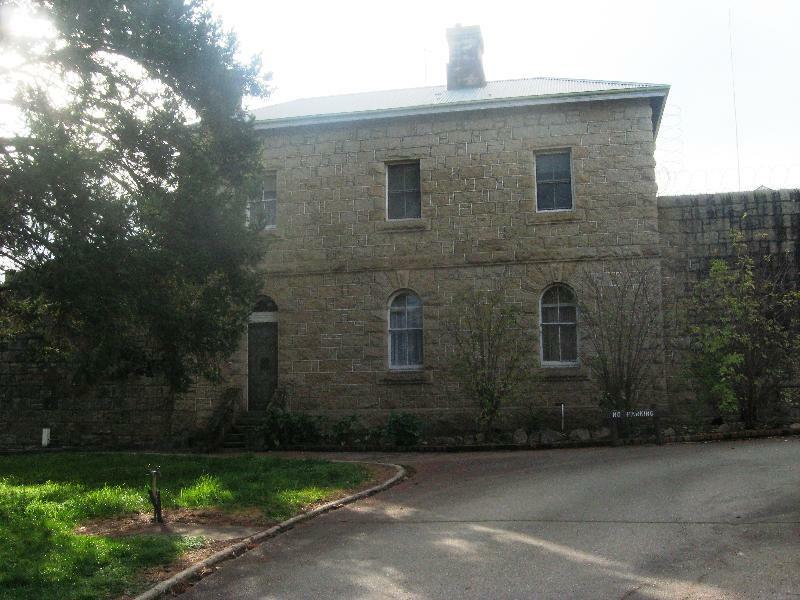 The Former Beechworth Gaol is located in a landscaped setting on an elevated site at the northern part of the town, and is a prominent feature in views along the main street from the south. The buildings are of light-coloured granite. The gaol is enclosed by high walls with watchtowers and arched entrances with iron gates on the east and west sides. On either side of the main entrance are two-storey Turnkeys' and Gaolers' Quarters. Within the perimeter walls are the two two-storey cell blocks, the dining hall and office wing, all radiating from a central observation hall. There are further high walls dividing the gaol internally and forming a number of open yards. To the east of the perimeter wall is the former Governor's and Warders' Quarters, a single-storey stone building with verandahs along the east and south sides. 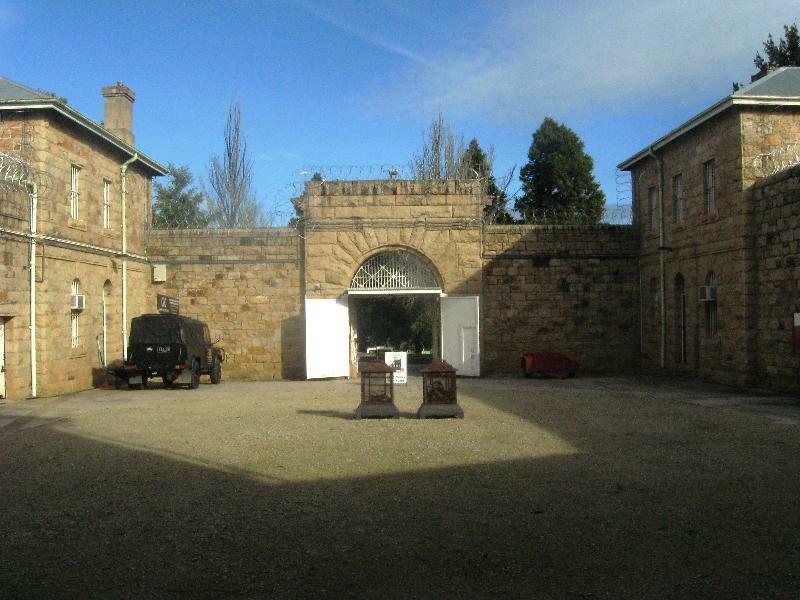 At the front of the gaol is a formal entry forecourt with landscaped gardens (now deteriorated), driveways and pathways with stone edgings. Around the site are various stone retaining walls, and on the northern boundary is the quarry from which the stone of the buildings was excavated (partly concealed by late twentieth century buildings). Burials of the prisoners executed at the gaol are probably located adjacent to the interior of the western wall. 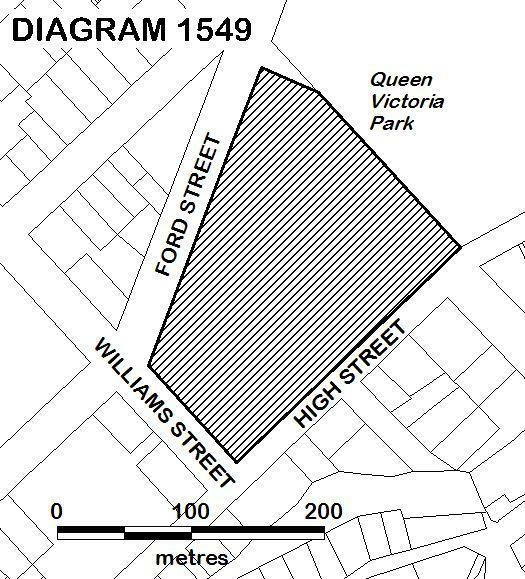 As Executive Director for the purpose of the Heritage Act, I give notice under section 46 that the Victorian Heritage Register is amended by modifying Heritage Register Number H1549 in the categories described as Heritage Place and Archaeological Place. All of the place shown hatched on Diagram 1549 encompassing all of Crown Allotment 2011 Township and Parish of Beechworth. Until 1842 Melbourne had only small insecure gaols, used for short-sentence and remand prisoners. Those committed for trial at superior courts were transferred to Sydney for trial and served their sentences there. Victoria's first secure gaol, the Melbourne Gaol in Russell Street, opened in 1845, but overcrowding prompted the construction of a temporary stockade at Pentridge in 1850. Following Victoria's separation from New South Wales in 1851, prisoners could no longer be sent to Sydney to serve their sentences, and the discovery of gold in the same year resulted in a massive increase in population and in crime. This created problems for the inadequate infant prison system in Victoria. More stockades were built: at Richmond (1852), Williamstown (1853) and Collingwood (1853). Old ship hulks were also fitted out as prisons in the early 1850s, which by the end of 1853 accommodated a total of 1910 prisoners, who were subject to harsh treatment. In the early gold rush period there were insufficient police on the goldfields, no courts and no gaols to cope with the large increase in crime. The provision of goals on the goldfields was carried out in three distinct stages. The first, with police as gaolers, saw the chaining of prisoners to trees and logs in a section of the government camp. The second stage was the provision of log huts, which protected prisoners from the weather, but were overcrowded, and had poor sanitation, inadequate ablution facilities and poor food. Concerns about the nature and conditions of prison accommodation in Victoria in the late 1850s led to a transformation of the Victorian penal system, and to a great program of prison construction. This led to the third stage (1857-64) of prison construction: the building of substantial modern gaols in the major towns that developed as a result of the gold rush and where sittings of the Supreme Court were held. Gaols were considered desirable by towns because prisoner labour could be used on road and drainage projects. The new prisons conformed in plan to a relatively new concept in prison design, the panopticon, based on Sir Joshua Jebb's model prison at Pentonville, in which a central observation point acted as a hub for radiating wings with cells arranged along either side, which had the advantage that all internal corridors and galleries could be surveyed from a central point. Prisoners were to be accommodated not in communal wards as before, but segregated in separate cells. These were to be well-ventilated and warmed, large enough to allow exercise and part-time employment in manual labour, and have washing and toilet facilities. The Pentonville plan with radiating wings linked to a central hall dominated prison design in Australia from the 1850s. However the cells were unsewered and had no running water or artificial light. Between 1857 and 1864 new buildings were constructed at the Melbourne and Pentridge gaols, and a series of country gaols were erected at Ballarat (1859-63), Beechworth (1859-64), Bendigo (1859-64), Castlemaine (1857-61), Geelong (1849-64), Maryborough (1859-64), Kilmore (1857-64) and Ararat (1861-63). These were designed on the Pentonville plan by the same group of draftsmen within the Public Works Department. This accounts for their similarities in design, including entrances with an imposing stone gateway flanked by staff living quarters, although the sites chosen allowed for some variation. By the mid-1860s the peak of the gold rush was over, and the goldfields populations, and the numbers of prisoners, declined. Beechworth was the centre of one of Victoria's richest goldfields, and the town was surveyed in 1853. The first gaol in the town was built in 1856 and consisted of six timber huts enclosed by a spike-topped stockade, which was similar to the earlier stockades at other goldfields towns. Beechworth's isolation often prevented those with long sentences for serious offences from being sent to Melbourne, as was the case at the other country gaols. Beechworth was the administrative centre of the district, and sittings of the Circuit Court were held there from 1857, which led to the need for better facilities to imprison those on remand and convicted criminals. 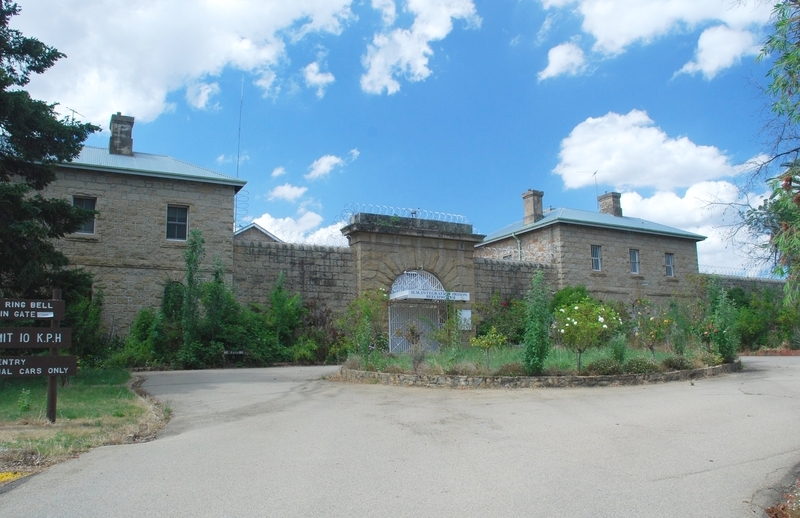 A decision was made in 1858 to build a new modern gaol at Beechworth. This was part of a larger government initiative to build permanent stone gaols in country districts throughout Victoria, especially on the goldfields. The gaol at Beechworth was designed by the Public Works Department and based on specifications prepared for the panopticon gaol to be built at Bendigo. It was originally intended to have a central circle, five two-storey radiating wings for cells (only two of which were built) and an administrative wing. It was set inside a high exterior wall, along with ancillary sheds and buildings and a circular pavilion in one of the yards where prisoners could be exercised in isolation. It demonstrates many design characteristics of the modified Pentonville plan, with radial two-storey cell blocks of single cells, an impressive main gate flanked by attractive residences for the governor and senior staff and a high wall with circular watch towers. Like other goldfields gaols the cells were neither sewered nor provided with running water. The new gaol was erected around the existing buildings in two stages at a total cost of £46,763: the gaol buildings were constructed in 1859-60; and the surrounding wall, kitchen, outhouses and staff accommodated were completed by 1864. The contractors were H Dalrymple and George Simmie, who also built part of the Castlemaine prison. The buildings were distinctive, being of light coloured granite, which was quarried on the northern part of the site by prison labour. The gaol opened in 1860 while still incomplete, with single cell accommodation for thirty-six prisoners, the number more than doubling on completion in 1864. The gaol accommodated both male and female prisoners. A separate house was provided for the prison governor and staff officers were accommodated in buildings on either side of the gaol entrance. Although the panopticon design was intended to hold prisoners in seclusion, in practice the prisoners were used to provide labour for local public works. They often worked quarrying and breaking stone for road-making and building, the demand for stone stimulated by the construction of many fine government buildings in the town. Female prisoners were employed doing washing and needle work for government departments in the town. Many of the prisoners in 1850-60 were Chinese. 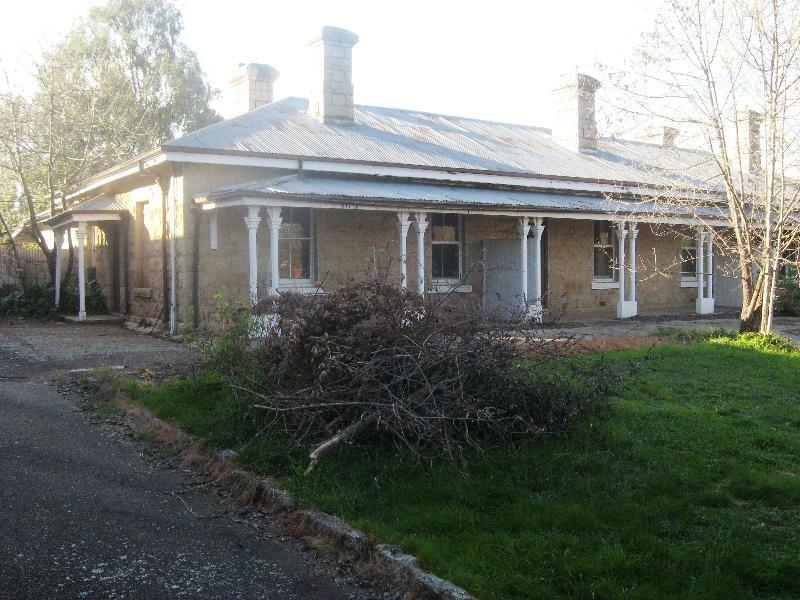 Due to the distance from Melbourne those with longer sentences, who would ideally have been transferred to Melbourne, were kept at Beechworth longer. The prison had a close association with the story of the Kelly gang. Ned Kelly spent a total of about two years there between 1870 and 1880. 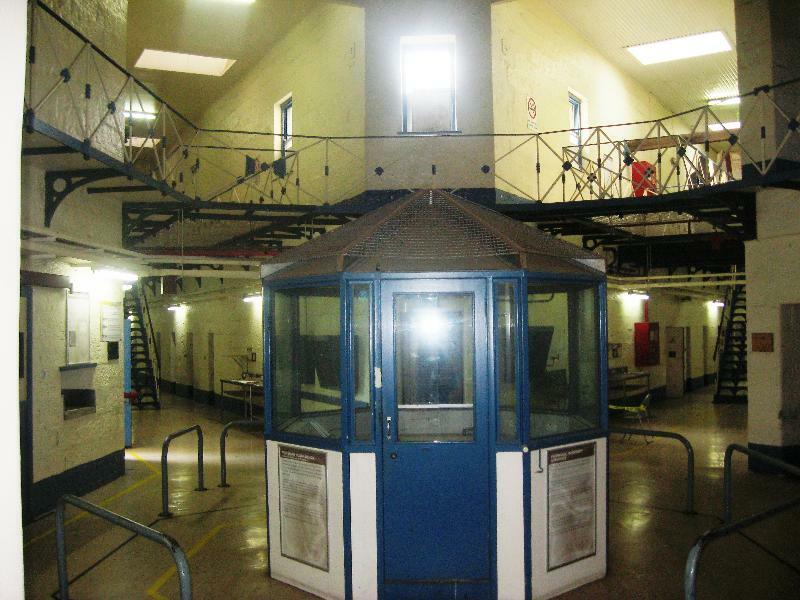 The time spent in the gaol is said to have had an important influence on Kelly's thinking, helping to create his attitude towards the forces of law. His younger brothers, Dan and James, also served time there, as did Kelly gang members Joe Byrne, Aaron Sherritt and Steve Hart. Ned's mother Ellen and her new-born baby were held there in 1878. In 1879 twenty-five Kelly alleged sympathisers were arrested and held there awaiting trial, and Crown witness were held there during the committal hearings. Rumours of a possible attack on the gaol by Kelly sympathisers led to the installation of a new iron grille gate at the entrance of the prison in 1880. The coming of the railway to Beechworth in 1876 resulted in a change of government policy, with longer-term prisoners now sent to Pentridge, and prisoner numbers then fell. In 1891, when Victoria's prison population was at its peak, there was a daily average of 67 prisoners in Beechworth Gaol. By 1900 this had fallen to 28. In 1912 it fell below 20 a day, and in 1917 there was only one prisoner at Beechworth. There were so few prisoners in the Victorian gaols in the early twentieth century that the government determined to centralise its prison population and close the Melbourne, Beechworth, Sale, Bendigo and Ballarat gaols in order to save money, and accordingly Beechworth Gaol closed in 1918. Beechworth Gaol re-opened in 1926 as the Beechworth Reformatory Prison for hardened habitual male criminals. Renovations included the addition of a dining hall and chapel, built on the walls of the original office wing, workshops and stores built in the old female yard, addition of a bath house and laundry at the end of the eastern cell block, demolition of some old brick walls, and a boiler house added to the end of the kitchen. Prison numbers increased slowly to 30 in 1927. They were occupied with repairing the old buildings, beautifying the front approach to the prison with lawns, garden plots and gravel paths. An extensive vegetable garden was laid out inside the walls, and the prison grounds were levelled and the old quarry partially filled in. Prisoners were later also given the opportunity for farm work outside the prison, at a government-owned property a few kilometres away called 'The Rest'. Authorities believed that the best way to improve criminals was to involve them in healthy, manly, outdoor work. Prisoners were later involved in work on other government buildings around the town. By the late 1940s it was considered that the reformatory prisons had failed to accomplish their aim of reforming prisoners. Beechworth became the Beechworth Training Prison in 1951, intended for younger prisoners who could be rehabilitated by acquiring new skills. Construction began of new facilities for work, education, accommodation and recreation, especially sport, and education officers and trade instructors were appointed. Greater interaction with the local community began, with prisoners involved by the 1960s in sporting competitions against local teams, debating competitions, volunteer work in the community and making items to raise money for charity. Prison labour made the gardens at the gaol entrance one of the showpieces of Beechworth. Major changes occurred following the government's creation in 1982 of the Office of Corrections (absorbed into a new Department of Justice in 1992) to run the prison system. This brought new major works to the Beechworth Training Prison. 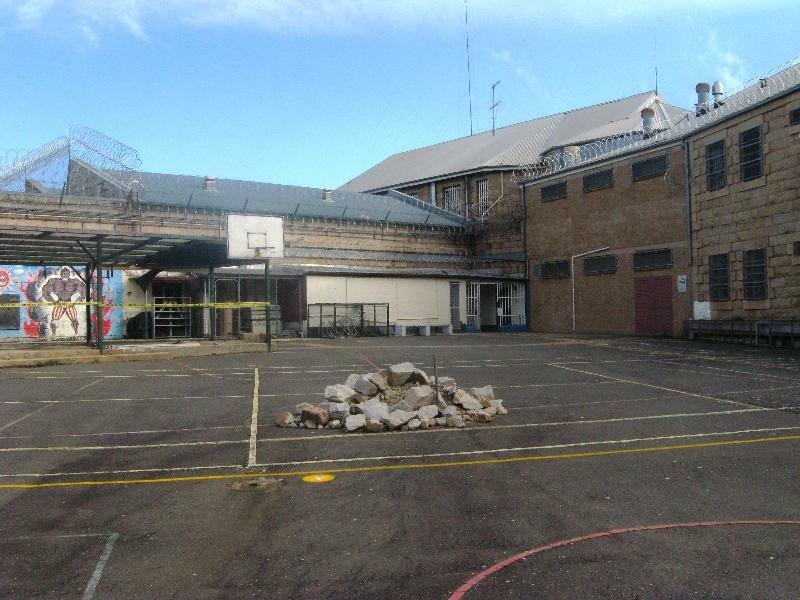 A new multi-purpose hall (now demolished) was opened in 1983 to be used for a variety of activities, including prisoner visits and also for community use by local schools and sporting clubs. A new industries complex (also now demolished) at the rear of the gaol opened in 1987, and new razor wire was then installed around the complex. Prisoner conditions had improved markedly by the 1990s. A significant change was the installation of toilets and wash basins in cells during 1993. Until then buckets had been used for toilets and washing. Education services had expanded and a variety of vocational courses introduced. 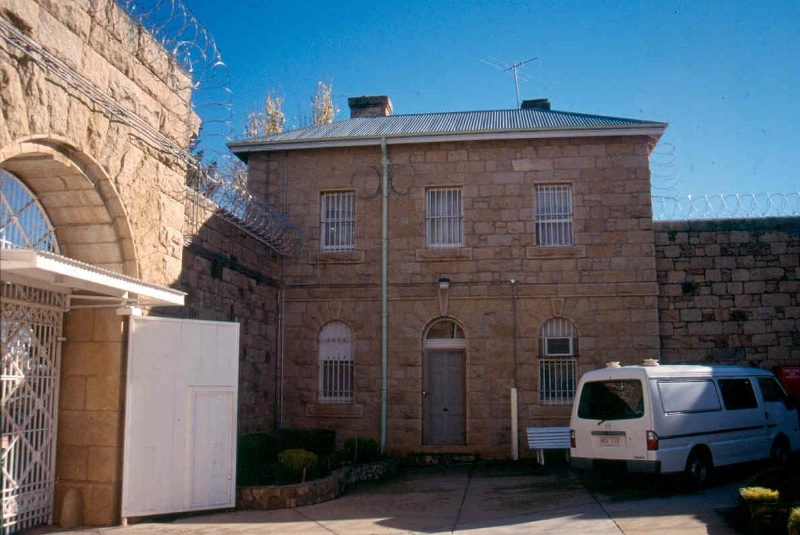 In the 1990s the prison became the Beechworth Integration Prison, intended for 'vulnerable prisoners' who faced great difficulties in the normal prison system. However it was difficult to adapt the old prison buildings to meet modern prison requirements. A new minimum security prison was constructed a few kilometres outside the town and the old prison was formally closed in December 2004 and sold for private development. Like other goldfields prisons, the Beechworth Gaol had a gallows, which had been built in 1864 at the end of the southern cell wing. Before this time executions were carried out in Melbourne. Between 1865 and 1881 eight prisoners were executed at Beechworth: Patrick Sheehan (6 November 1865), John Kelly (4 May 1867), James Smith (a.k.a. Peter Higgins, 11 November 1869), James Quinn (4 November 1871), James Smith (12 May 1873), Thomas Brady (also 12 May 1873), Thomas Hogan (9 June 1879) and Robert Rohan (a.k.a. Robert or Ernest Smith, 6 June 1881). All eight prisoners were buried in unmarked graves within the gaol grounds, under the Criminal Law and Practice Statute 1864. Felicity Buckingham's research has concluded that the burials are probably located adjacent to the interior of the western wall. Subsequent executions of prisoners from Beechworth Gaol were carried out in Melbourne. Built in 1859-64, this was one of nine imposing stone gaols built in Victoria between 1857 and 1864 in response to the great increase in crime following the gold rushes. All were designed by the Public Works Department, based on the panopticon plan. e) the replacement of existing services such as cabling, plumbing, wiring and fire services that uses existing routes, conduits or voids, and does not involve damage to or the removal of significant fabric. Note: Surface patina which has developed on the fabric may be an important part of the item’s significance and if so needs to be preserved during maintenance and cleaning. Note: Any new materials used for repair must not exacerbate the decay of existing fabric due to chemical incompatibility, obscure existing fabric or limit access to existing fabric for future maintenance. Repair must maximise protection and retention of fabric and include the conservation of existing details or elements. The following public safety and security activities are permit exempt under section 66 of the Heritage Act 1995, a) public safety and security activities provided the works do not involve the removal or destruction of any significant above-ground structures or sub-surface archaeological artefacts or deposits; b) the erection of temporary security fencing, scaffolding, hoardings or surveillance systems to prevent unauthorised access or secure public safety which will not adversely affect significant fabric of the place including archaeological features; c) development including emergency stabilisation necessary to secure safety where a site feature has been irreparably damaged or destabilised and represents a safety risk to its users or the public. Note: Urgent or emergency site works are to be undertaken by an appropriately qualified specialist such as a structural engineer, or other heritage professional. The following Signage and Site Interpretation activities are permit exempt under section 66 of the Heritage Act 1995, a) signage and site interpretation activities provided the works do not involve the removal or destruction of any significant above-ground structures or sub-surface archaeological artefacts or deposits; b) the erection of non-illuminated signage for the purpose of ensuring public safety or to assist in the interpretation of the heritage significance of the place or object and which will not adversely affect significant fabric including landscape or archaeological features of the place or obstruct significant views of and from heritage values or items; c) signage and site interpretation products must be located and be of a suitable size so as not to obscure or damage significant fabric of the place; d) signage and site interpretation products must be able to be later removed without causing damage to the significant fabric of the place; Note: The development of signage and site interpretation products must be consistent in the use of format, text, logos, themes and other display materials. Note: Where possible, the signage and interpretation material should be consistent with other schemes developed on similar or associated sites. It may be necessary to consult with land managers and other stakeholders concerning existing schemes and strategies for signage and site interpretation. *The process of gardening and maintenance, mowing, hedge clipping, bedding displays, removal of dead plants, disease and weed control, emergency and safety works to care for existing plants and planting themes. *Removal of vegetation that is not significant to maintain fire safety and to conserve significant buildings and structures. *The replanting of plant species to conserve the landscape character and plant collections and themes. *Repairs, conservation and maintenance to hard landscape elements, buildings, structures, ornaments, roads and paths, drainage and irrigation system. *Management of trees in accordance with Australian Standard; Pruning of amenity trees AS4373. *Installation, removal or replacement of garden watering and drainage systems. *Non-structural works that occur at a distance greater than 5 metres from the canopy edge of a significant tree, plant or hedge, (structural works may require a permit if still on the registered land). *Non-commercial signage, lighting, security fire safety and other safety requirements, provided no structural building occurs. *Plant labelling and interpretative signage. *Resurfacing of existing paths and driveways. *Repainting all previously painted surfaces in the same colour scheme and paint type. *Painting of previously painted walls and ceilings provided that preparation or painting does not remove evidence of any original paint or other decorative scheme. *Repair and servicing of equipment and services including wiring, plumbing, heating, air-conditioning and fire services. *Maintenance of power or pipelines or other public services located on the property where this involves no alteration to the fabric of the place. *Cleaning out gutters, drainage systems and other water storage and drainage areas. *Removal but replacement of post nineteenth century pipes, cabling, wiring and conduit but not roof plumbing, rainwater heads or downpipes. *Removal of paint from originally unpainted or oiled joinery doors, architraves, skirtings and decorative strapping. *Installation, removal or replacement of curtain track, rods, blinds, and other window dressings. *Installation, removal or replacement of hooks, nails and other devices for hanging of mirrors, paintings and other wall mounted artworks. *Alterations to toilets and kitchen to the extent of new fittings and surfaces which are required to meet health and safety regulations. *Refurbishment of existing bathrooms, toilets and kitchens including removal, installation or replacement of sanitary fixtures and associated piping, mirrors, wall and floor coverings. *Removal, replacement or installation of smoke detectors, insulation, electrical wiring provided that all new wiring is concealed and all original light switches or power outlets and timber conduits (if still existing) are retained in situ. *Removal of extraneous items such as external lighting, air conditioners, pipe work, ducting, flues, wiring, antennae, aerials, fly screens, louvres etc, and making good. *Installation or removal of external fixtures and fittings such as, hot water services and taps. *Demolition or removal of non-original stud/partition walls, suspended ceilings or non-original wall linings (including plasterboard, laminate and Masonite), bathroom partitions and tiling, sanitary fixtures and fittings, kitchen wall tiling and equipment, lights, built-in cupboards, cubicle partitions, computer and office fitout and the like. *Removal of tiling or concrete slabs in wet areas provided there is no damage to or alteration of original structure or fabric. *Installation, removal or replacement of ducted, hydronic or concealed radiant type heating provided that the installation does not damage existing skirtings and architraves and that the central plant is concealed. *Installation, removal or replacement of electrical wiring. *Installation, removal or replacement of electric clocks, public address systems, detectors, alarms, emergency lights, exit signs, luminaires and the like on plaster surfaces. *Installation of new fire hydrant services including sprinklers, fire doors and elements affixed to plaster surfaces. *Removal of post nineteenth century internal additions to the current Education wing, Prisoner Reception and the stores area that presently occupy the yards that were originally the female yards on the south side of the prison complex on the condition that no significant fabric is detrimentally effected in the process. *The removal and internal modification but not additions to the 1957 Office Building in the Entry Court. *The removal and internal modification but not additions to all additional structures, except the weatherboard lean to addition, associated with the Gaolers Quarters. *The removal and internal modification but not additions to all other buildings and structures not included in the extent of registration or otherwise stated. The extent of registration of the Former Beechworth Gaol on the Victorian Heritage Register affects the whole place shown on Diagram 1549 including the land, all buildings, roads, trees, landscape elements and other features. Under the Heritage Act 1995 a person must not remove or demolish, damage or despoil, develop or alter or excavate, relocate or disturb the position of any part of a registered place or object without approval. It is acknowledged, however, that alterations and other works may be required to keep places and objects in good repair and adapt them for use into the future. Lovell Chen & John Patrick, 'Beechworth Gaol Conservation Management Plan', 2005, and W Keeble, 'Heritage Impact Statement. 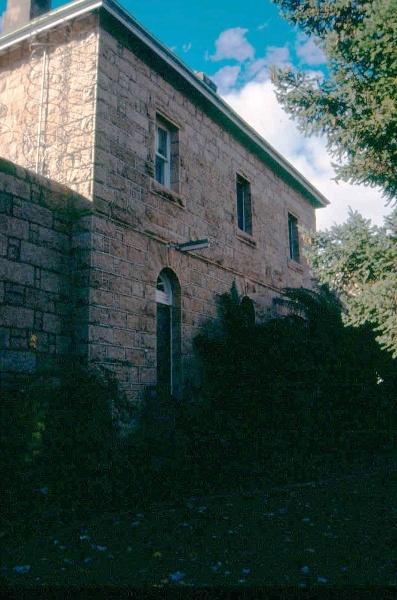 Beechworth Gaol (Victorian Heritage Register H1549), September 2006, may provide guidance for the future management of the site. 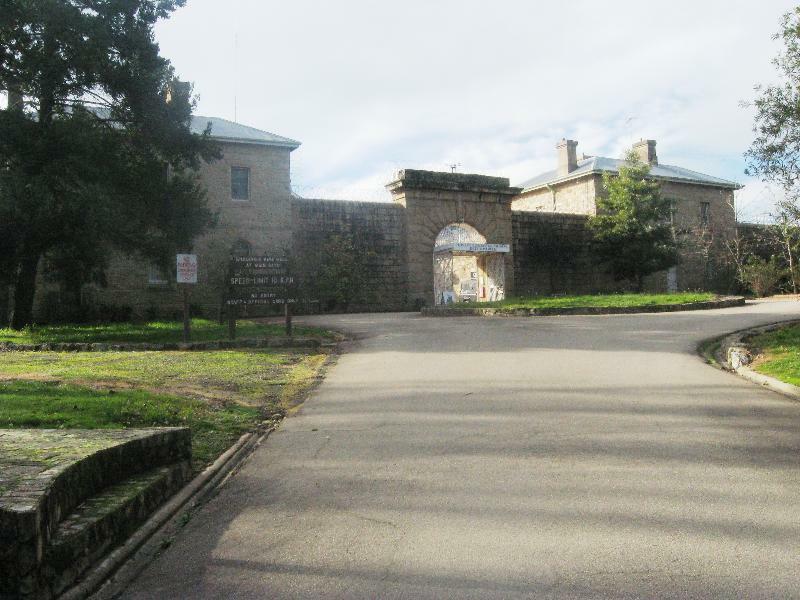 The cultural heritage significance of the Former Beechworth Gaol lies in it being a substantially intact example of the large panopticon prisons which were constructed throughout Victoria from the late 1850s. 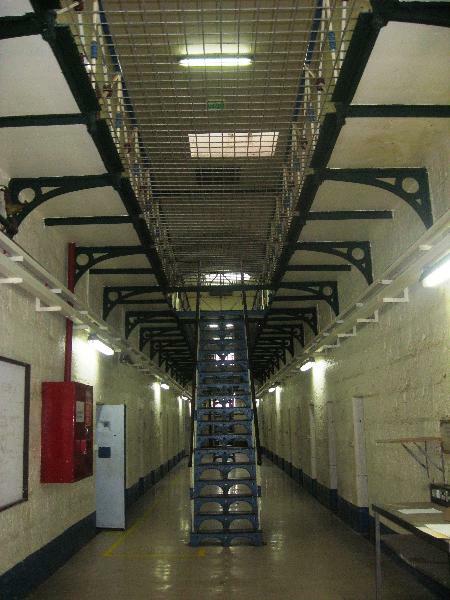 It demonstrates the form and function of a nineteenth century gaol. The current two-storey dining hall wing was built in 1925 as a dining hall and chapel, and was built on the footprint of the original office wing and so demonstrates both the original layout of the gaol and its evolution, and is important in the understanding of the place. The burials thought to be located adjacent to the interior of the western wall are important archaeological features, and the entire site has the potential for subsurface remains of prisoner occupation and activity.
. The lawns and mixed planting to the south of the gaol walls and the lawns around the Governor's Quarters.
. Non-original opening in northern boundary wall.